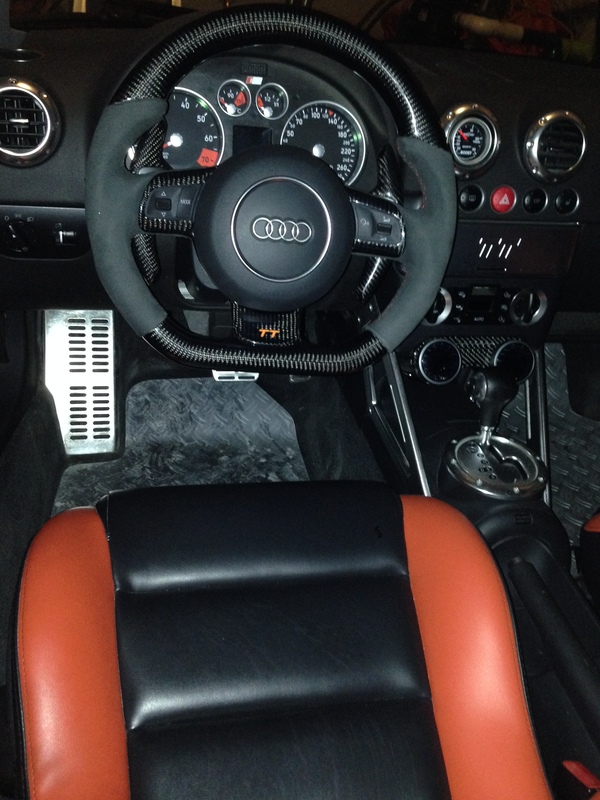 Not too long ago, I decided I had enough with the original steering wheel… So I checked my options and my first question was: What can I fit? An OEM Audi steering from another model? Mono? (The name came back from my young tuning days…) Any other manufacturers out there? One thing was for sure, I wanted an air bag & safety on my side. After a lot of searching on many TT forums, I found out that it is possible to replace the OEM by many other wheels, but it comes at a price and needs technical skills. Not too hard, but definitively not a plug and play. That’s why I don’t see many out there I thought. But hey, my mind was set and I had decided to change it. So I looked at what others had installed and none fit my taste aside from Nexon models. So I wrote to Izzy (Nexon Motors @ Facebook) and he confirmed he already had one customer installing a custom wheel in his TT. What? Who? Do you have a name I asked him? “Steve / V6RUL” answered! Really? Anyone who follows ttforum.uk has read one of Steve’s posts. So I wrote to Steve who sent me a few pics and confirmed Nexon was worthy of my trust. A few days later, I confirmed to Izzy I had found the model that I wanted and gave him a 25% deposit. 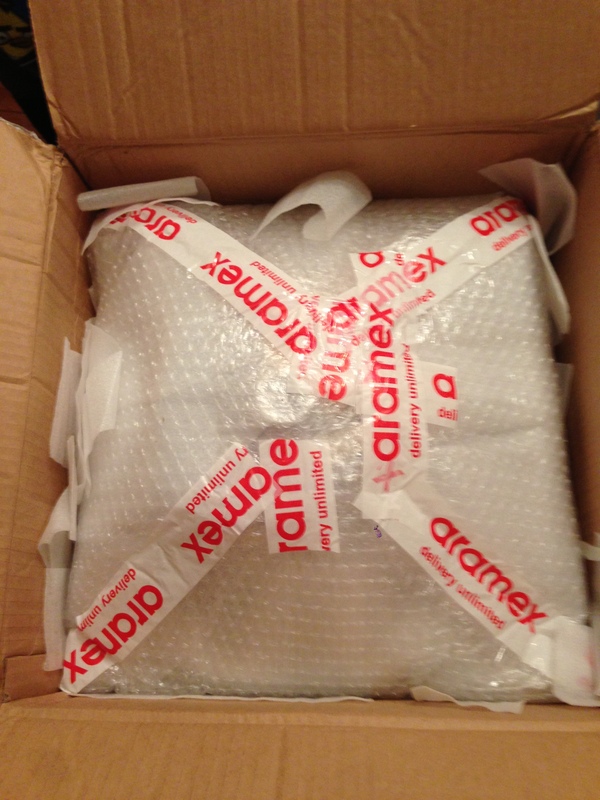 And then I waited, waited and… waited. I wrote to Izzy a couple of times and was told the wheel was being made. A few days later, he sent me pics and two weeks later… ding-doongg! The bell rung and Brown was here with a delivery from half way around the globe. 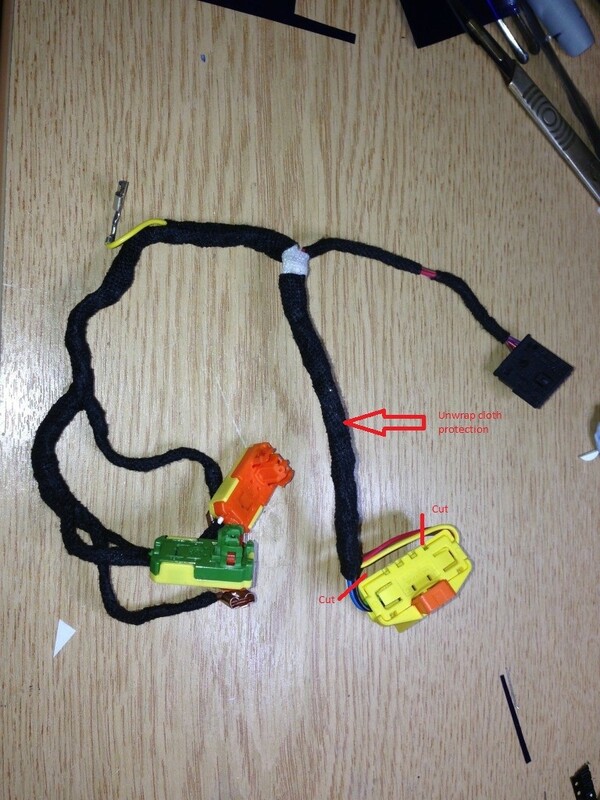 Remove the + connector from the car battery. Take off the old steering wheel. Next cut the plug off the MK2 loom and separate the unused part of the loom for the black plug. Individually insulate both the blue and white as you don’t want to accidentally trigger that stage!!!! I wound the protective cloth back onto the loom to keep everything tidy. Also, make sure you dress the loom back into the retainers on the back of the airbag as if its not tidy, it will foul as you try to mount the bag in the wheel. Wired like this, the orange airbag plug will NEVER fire but the green airbag plug will. DSG Paddles. Made a loom adapter today and removed the canbus logic for the DSG paddles. Thats just the DSG paddles. In the MKi wheel there are 3 wires. 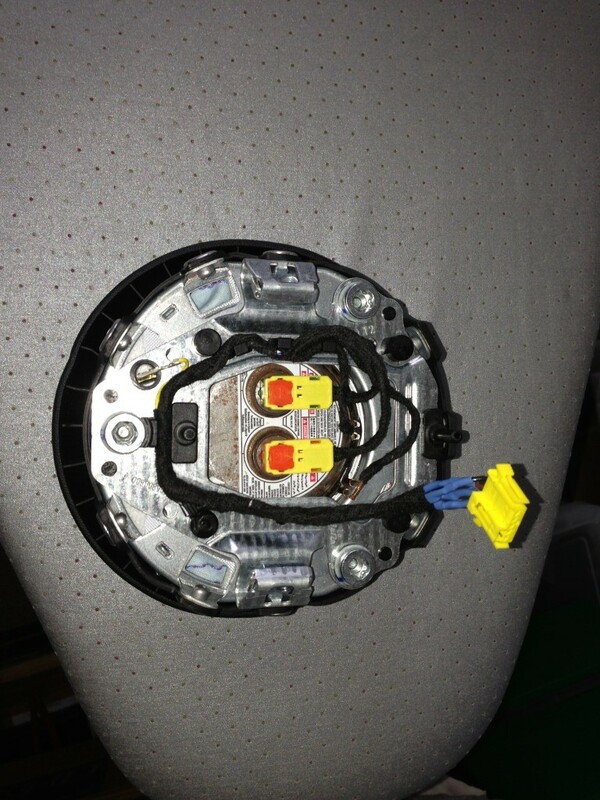 In the MK2 wheel, there is canbus logic on the board under the right coverplate as the MK2 TT uses a single wire canbus connection to the DSG. On the MK1 the logic is external to the wheel and so uses the discrete button presses. I’ve just removed the canbus PCB and connected the wiring to work like the original switches. Of the 3 pin connections to the paddles. the middle pin is the common. then I just used a meter to work out which was the correct one for the switchline. The horn is just another switch that is part of the original wheel loom, I just extended the wire as required. 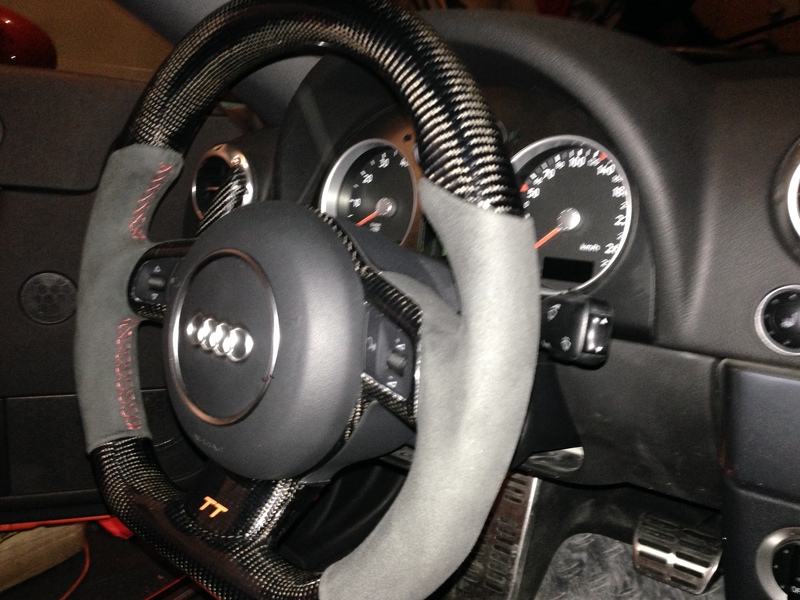 This entry was posted in My Audi TT RS Project and tagged Nexon Motors, Steering Wheel. Bookmark the permalink. Andre, that wheel is sick! Absolutely incredible workmanship. Excellent job on the write up as well. 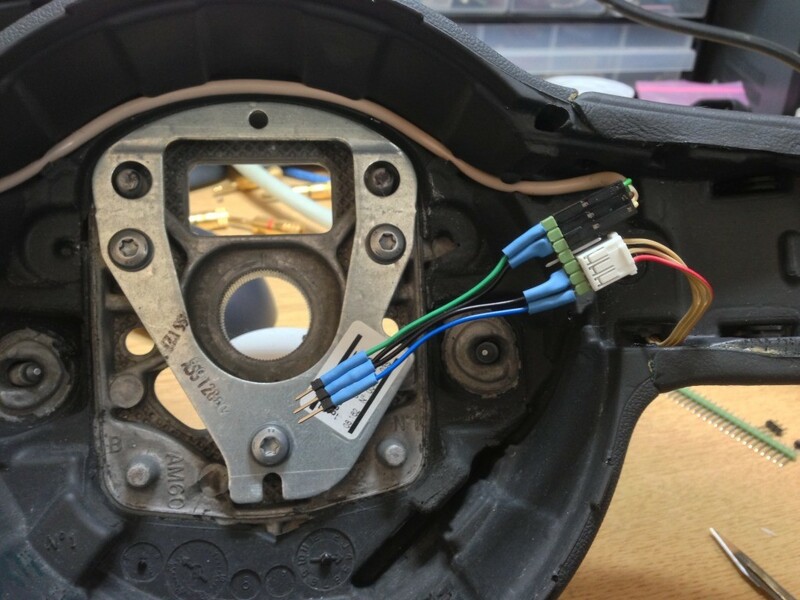 It’s been proven that wiring a 2 stage airbag as a 1 stage and manually triggering the firing mechanism will fully inflate the airbag. What hasn’t been proven is whether a 2 stage airbag wired as a 1 stage airbag will react the same way a 1 stage airbag would react in an accident under the exact same circumstances. Until that is methodically tested, everything and anything said is just pure speculation. I think when you get involved w/ such modification you have to understand the possible consequences of what you’re getting yourself into. I know there are people out there that are going to argue to length that you shouldn’t do it, others will tell you you’ll be fine… Bottom line, it’s your decision because no one knows… You do it at your own risks and you better be willing and ready to assume any consequences, whatever these might be. Have you tried an Audi dealership? 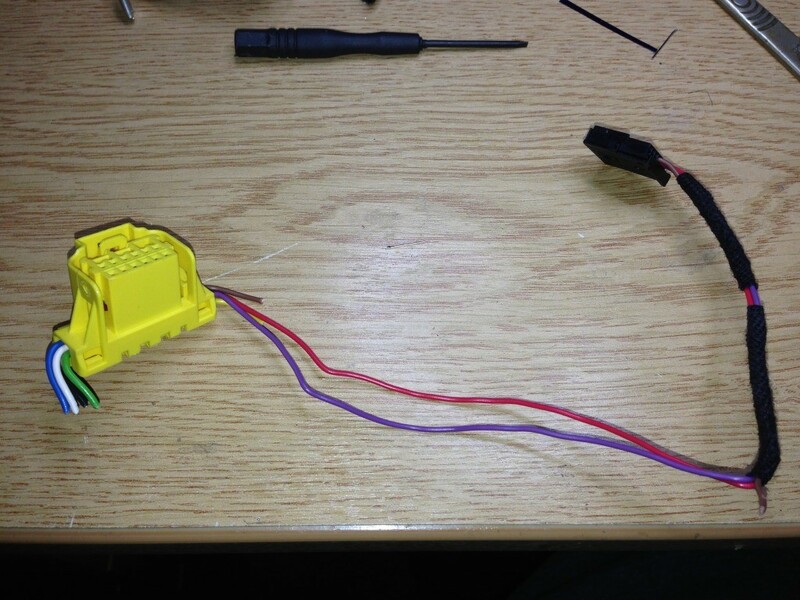 Or are you referring to the mk1 to mk2 wiring loom? This you can get from the UK as well. Contact Gareth from HazzyDayz at hazzydayz@gmail.com. What do you mean? 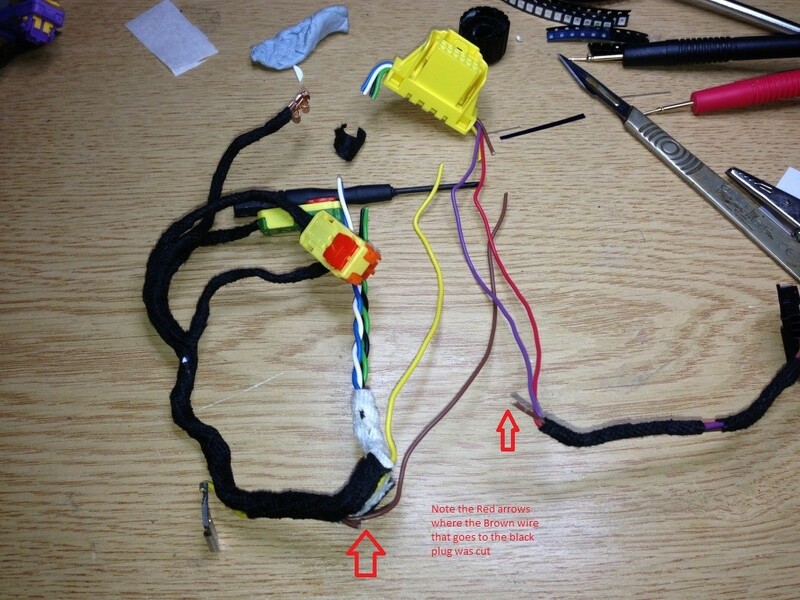 Do I just go by what the photo has which is combine the black and the blue wire to pin 1 and the green and the white wire to pin 2. Do not combine the wires! Mk2 Green (only) to Mk1 black on pin 2 and Mk2 Black to Mk1 Black on pin 1. 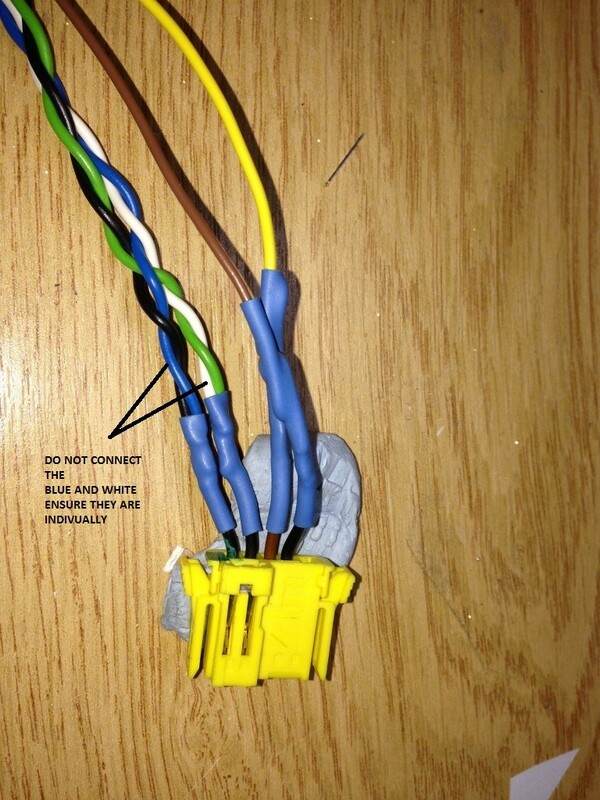 Individually insulate both the blue and white like in the picture or in any other way. They simply need to be appart from one to the other and unplugged and unskinned. Thanks for the clarification Andre, just avoided a catastrophe…..haha. 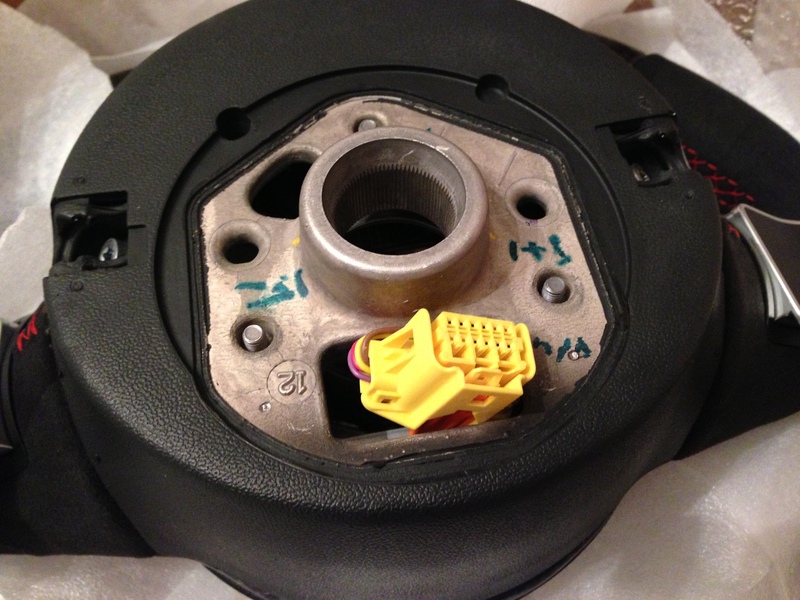 If you don’t care to have the function of an airbag could you just install a MK2 wheel with an airbag cover and use vagcom to shut off the airbag light? I’m running bucket seats with 4 point harnesses the driver’s airbag literally provides no safety for me. 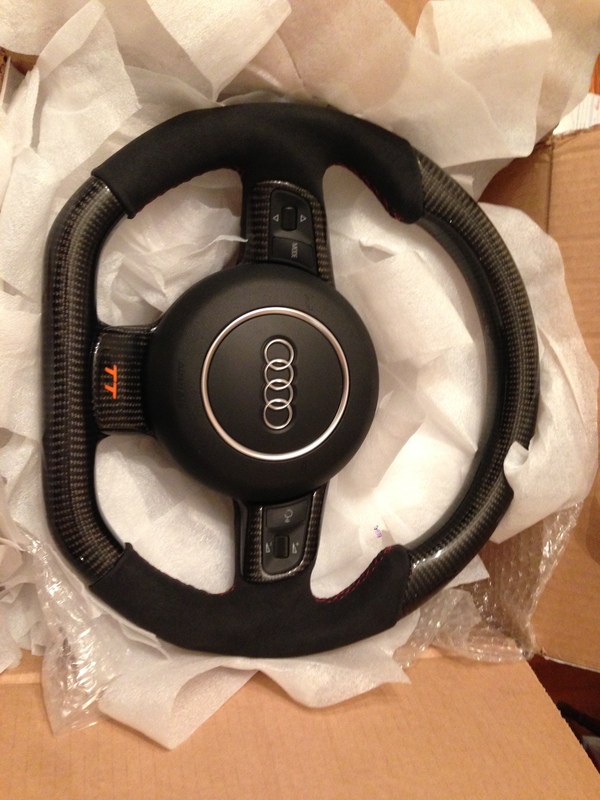 Anyway the reason I asked is because I found an R8 steering wheel online and purchased it, but now I’m having trouble finding an airbag for it. The A8 looks the same, but I’m having trouble finding if it will mount up properly, etc. This is only true if your using a HANS device. If not you can sustain massive whiplash and even death from sudden deceleration. 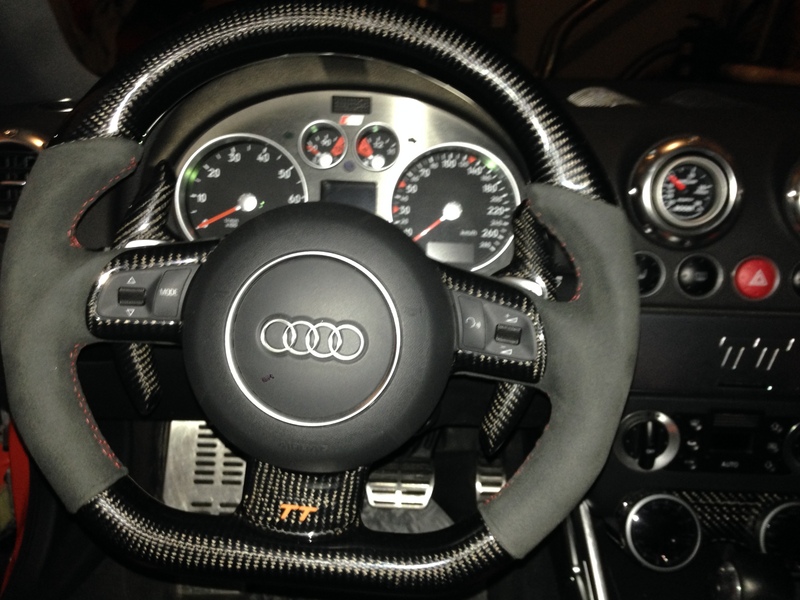 i am about to do the same…did yoy find out if the A8 airbag fits the R8 steering wheel? i’m from romania and i have a question can i buy online a steering wheel like tha? 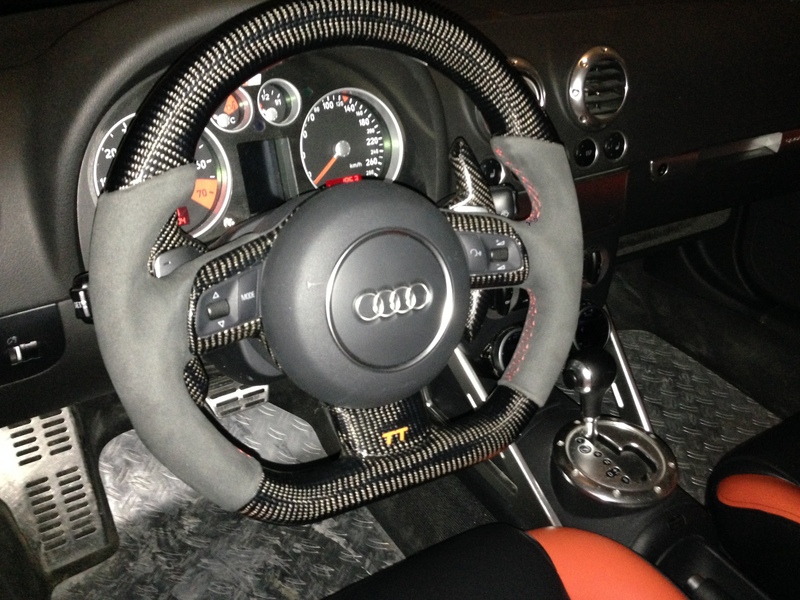 Where can I buy this steering wheel at? And how much was it? Loved the steering wheel swap. Can you tell me how much all the parts were to complete the job and do you know where I could get the work done ? I’m in the UK.